Our son Robert was sadly taken from us on Saturday 26th March 2016 whilst enjoying a night out in York with lots of his friends. 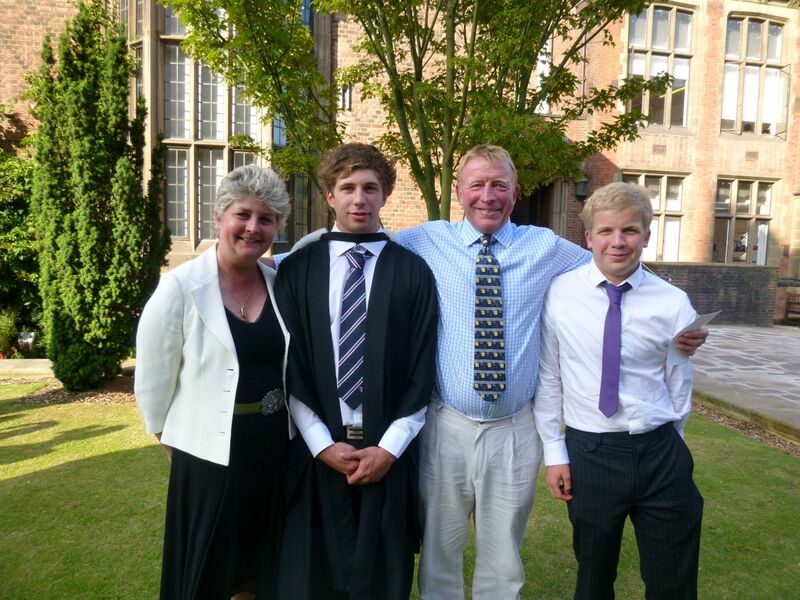 To remember Rob, his brother Sam has come up with an idea to celebrate his life: – The Rob Stephenson Trust. Rob had so much fun being part of local sports teams that Sam wanted to put something back so other young people could also enjoy these opportunities. We were fortunate enough to have the time and money so that Rob and he could participate fully in the local sports teams. Not all people are that fortunate and we hope the Trust will enable some more young people to be able to participate and enjoy the friendship and camaraderie that sport brings. Rob was never a super star but he was one of those players that all clubs and teams need – a 100% commitment and effort player. The fund will also be available to support those individuals closer to home, with an initial plan to provide netting for Thornton Dale Cricket Club, where Rob spent many happy hours in the summer. In addition, as Rob wanted to further his studies abroad, other students can apply for funding to help with books etc. through Newcastle University. No matter where you are in the world, if you find someone that could do with a leg up to allow them to enjoy sport/education please get in touch.